If you haven’t noticed, lately I’m all about saving money and eating healthy. In this post I have several recipes that use the same Pico De Gallo, so you’ll end up eating it all in one week in fresh, unique ways. 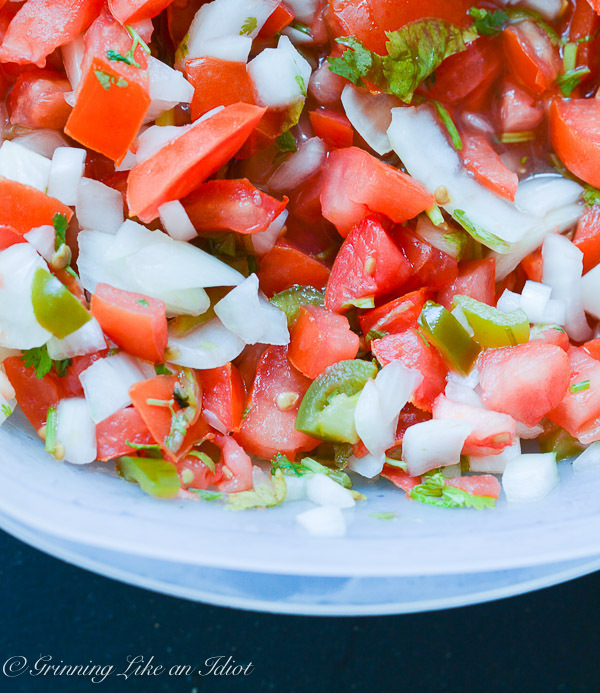 In a medium bowl, add the tomatoes, onion, jalapeno, and cilantro. Squeeze the juice from 1 lime into the bowl and sprinkle with salt. Stir to combine ingredients and taste. Add more lime juice and salt as necessary. Refrigerate and use when you are ready. 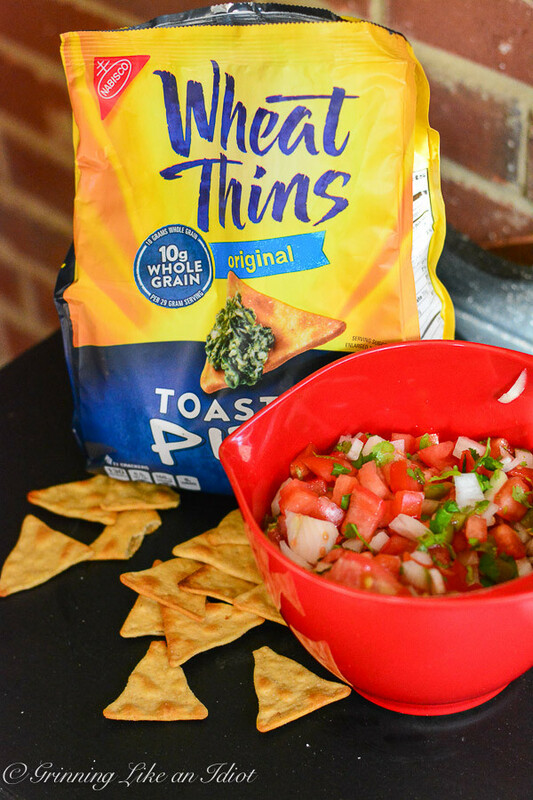 This was an accidental find, the Wheat Thin Toasted Pita chips have just the right amount of salt on them to accentuate all of the flavors of the Pico De Gallo. It is wonderful! My parents couldn't get enough of this appetizer. 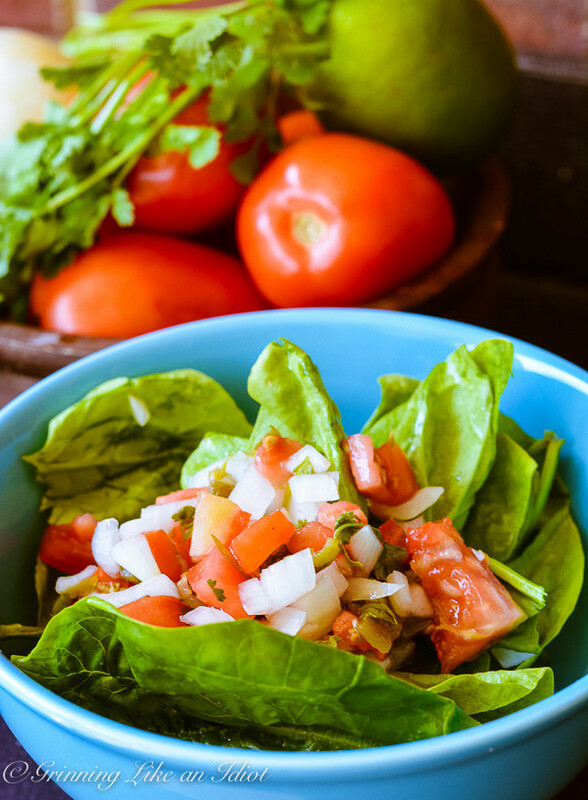 Adding the Pico De Gallo to your salad will spice it up a bit. AND because there are juices from the lime combined with the jalapeños and tomatoes so there is no need for a dressing of any sort! Healthy, spicy and light makes the perfect summer salad! Put all of the chicken pieces into a gallon zip lock bag and pour the marinade into the bag, rub the marinade into the chicken and let set for 30 minutes. If you let it set for longer than 30 minutes then refrigerate. Grill the chicken breasts until done (either on an outside grill or inside grill). Top with Pico De Gallo and serve. I found this recipe on shewearsmanyhats.com and pinned it on Pinterest Savory Board. 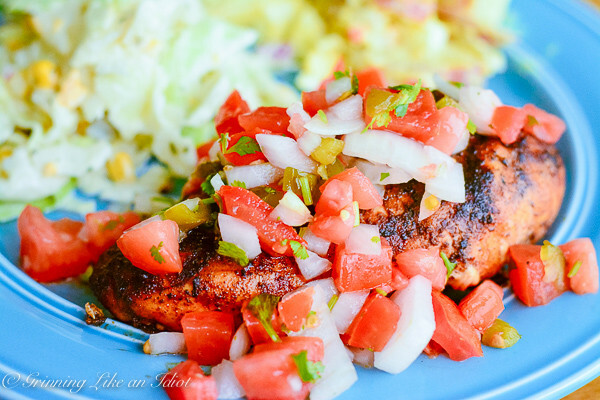 She has a lime butter that I haven't used because the pico de gallo is just so amazing! What is your most versatile recipe?